This DVD-ROM contains all 66 books of the King James Bible, as MP3 Audiobooks, totaling approx 86 hours in MP3 format. This DVD-ROM contains all 66 books of the King James Bible, as MP3 Audiobooks, totaling approx 86 hours in MP3 format. This MP3 Audio book collection of The King James Bible is perfect for church groups, bible study classes, or anyone wishing to listen to the bible while on the go via your mp3 player (iPhone, iPod or any Android device or mp3 player). The MP3 files on this DVD can be transferred to any MP3 device of your choosing via your computer. The MP3 files offer a perfect blend of file compression, allowing the contents to fit on this DVD, without sacrificing sound quality. Each book of the bible is in a separate folder in separate tracks, making navigation is. 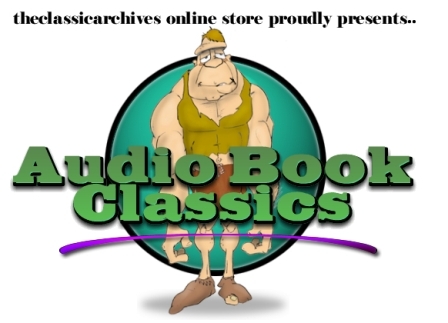 This audio book is a professional recording with a professional speaker (not your typical amateur recordings often found here on eBay). NOTE: THIS IS A DVD-ROM DISK TO BE PLAYED IN YOUR COMPUTER, WITH MP3 FILES THAT CAN BE MOVED TO ANY DEVICE. THIS DISK WILL NOT PLAY IN YOUR CD PLAYER IN YOUR CAR. The King James Version (KJV), also known as the Authorized Version (AV) or the King James Bible (KJB), is an English translation of the Christian Bible for the Church of England begun in 1604 and completed in 1611. The books of the King James Version include the 39 books of the Old Testament, an intertestamental section containing 14 books of the Apocrypha, and the 27 books of the New Testament. It was first printed by the King's Printer Robert Barker and was the third translation into English, approved by the English Church authorities. The first had been the Great Bible, commissioned in the reign of King Henry VIII (1535), and the second had been the Bishops' Bible of 1568. In January 1604, James I convened the Hampton Court Conference, where a new English version was conceived in response to the problems of the earlier translations perceived by the Puritans, a faction of the Church of England. The translation is widely considered to be both beautiful and scholarly and thus a towering achievement in English literature. So, what is on this MP3 AudioBook Disk? This disk contains MP3 files of the King James Bible on DVD. This will NOT play in any regular CD player. You can place this DVD-ROM into your computer and copy off the MP3 files to your machine and upload them back to any MP3 Player and listen to your AudioBook through your MP3 Player, IPOD, or ANDROID device. Also included is HTML files of the King James Bible that you can view and read along with your web browser.